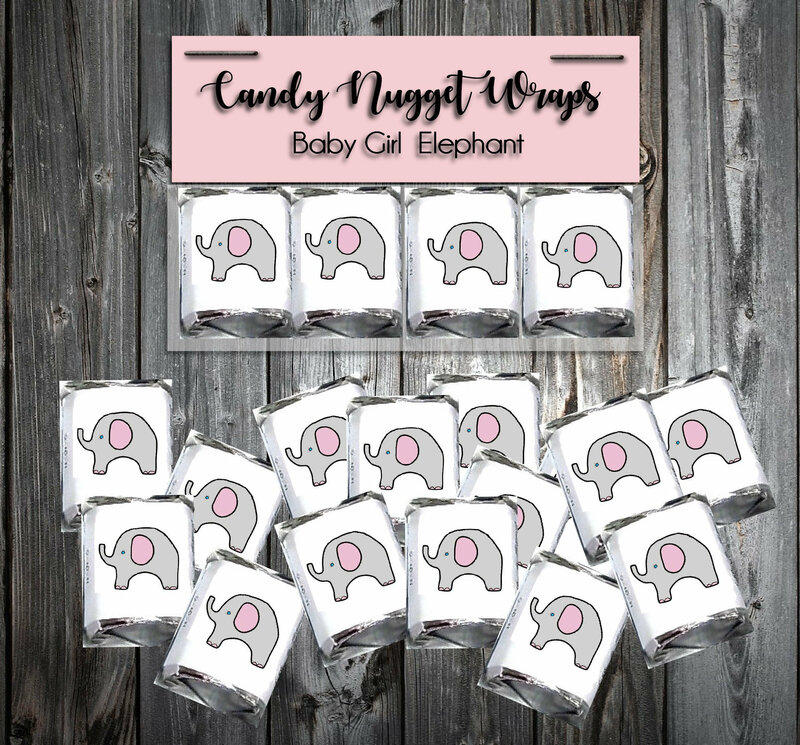 60 Pink and Grey Elephant Shower Candy Chocolate Wraps Favors. Includes printing. Fits Hershey’s Nuggets® Size Chocolates. Candy NOT included! Comes in white only and these are self stick. Side wording includes new moms or baby's name and shower date.